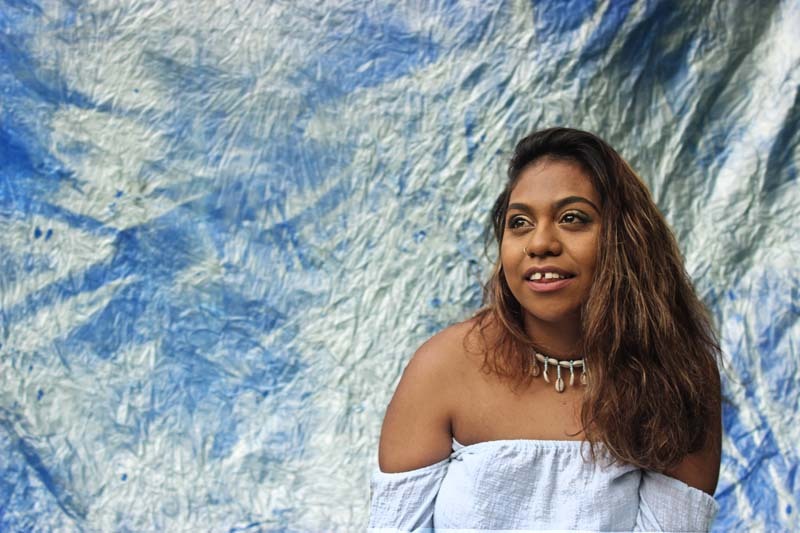 A Wanandilyakwa woman from Groote Eylandt in the Northern Territory, Emily uses her music to share her language and culture with the world. She grew up in two different worlds with two different perspectives of life, but has always had a strong love for protecting her land and empowering her people through the preservation and protection of her culture. Singing in both English and Anindilyakwa, Emily’s music explores the contrasting themes of her two worlds - the island and the city, steeped in the sand, salt and concrete of her family, community and cuture.